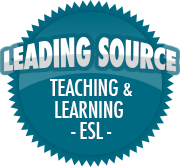 Assessing ELLs Part 5: A Follow Up | So, You Think You Can Teach ESL? Earlier I published a series of posts about assessing ELLs, based off a course I’m taking from ASU via Coursera’s MOOC platform. One of the modules had this video which briefly shows how one school in New York City uses both formative AND summative assessment to help students achieve their goals. While the article doesn’t mention ELLs specifically, it gives some inspiration for teachers to try a few activities out, and observe what progress looks like. The article is from the website, Edutopia. Watch it below. Thanks for sharing the video. I missed it on edutopia. It’s excellent. Thanks for commenting and the mention on Twitter!! I’m glad you liked it!